Tiny update, fixed a bug causing the analysis window and .csv file output not to display/save when the user is working in an unsaved Rhino document. CSV is output on the user's Desktop when working in an unsaved Rhino document, otherwise it will save in the documents working folder. A provision for non standard "Desktop" folder naming is also built in. So far users donated a total of 50.02EUR via the donation button, many thanks. Get the updated SeaHorse on Food4Rhino. Time for an updated SeaHorse. Some internal polishing has been done, but nothing to tell your friends about. New outputs are more important: location of CoB and CoF in relation to WL length, as well as their World XYZ coordinates. 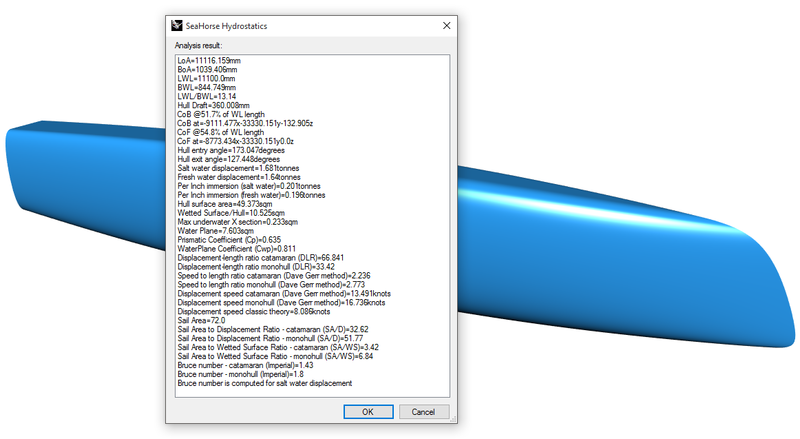 Displacement-length and speed-length ratios should give more performance indicators for your hulls. Displacement speed is also added as an output, according to classic theory and light craft method presented in Dave Gerr's book. Known bugs - hull entry and exit angles still misbehave, sometimes computed correctly sometimes showing weird values, I'm working on implementing a better IQ for getting the correct angles. Lastly - the donate button collected 30.02EUR so far, thank you for your support ! Few days back I uploaded a new plugin on Food4Rhino. 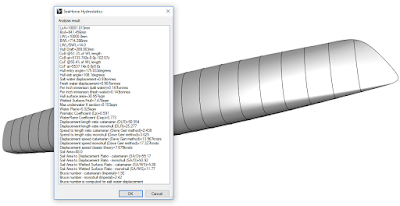 SeaHorse Hulls is a parametric hull modeler for catamaran hulls, or any slender type hull. It can be used for trimaran amas and akas as well. For the moment, the free version only supports a few basic parameters and I'm still pondering whether to keep the complete toolset free or license it somehow. 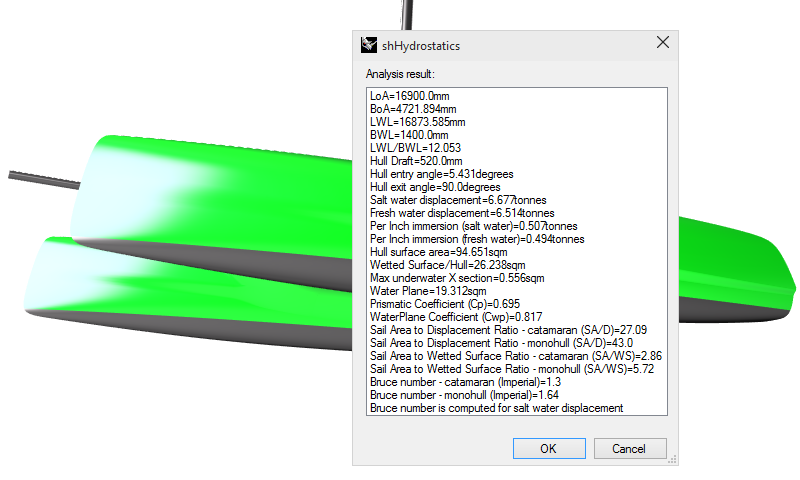 The complete toolset allows much more control on the shape of the hull, both under and over the water. The tools is already used on 4 production catamarans and development is still underway.